How a special guest fulfilled one radio announcer's dream. 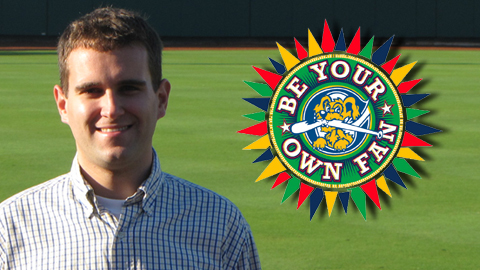 As radio announcer for the Class-A Charleston RiverDogs, a Yankees minor league affiliate, Sean Houston is starting at the near-bottom of his profession, ready to work his way up. And last Saturday night was one like any other this season for Houston — except for a special guest sitting down in the stands below. That would be Bob Costas, sports announcing's versatile, opinionated, age-defying everyman. So Costas did Houston a solid and joined him in the radio booth to call an inning of the game. Houston's assessment: "It was pretty intimidating and pretty surreal," but a game he won't soon forget. Here's the segment that local news station WCIV did on Houston's one shining moment with his broadcasting idol.